Tasmania is an isolated state off the mainland of Australia which is known for its rugged wilderness, with the island largely protected within parks and reserves. Half a million people live in Tasmania, with 200,000 of those residing in the state’s capital, Hobart. Tassie has a bustling nightlife – with one of its most popular attractions being the Wrest Point Casino. It also has a ton of gaming venues for visitors and locals alike, and on this page we detail the best venues to play pokies in Tassie. 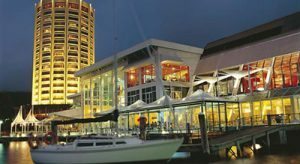 Based right on the waterfront, Wrest Point offers a luxurious gaming experience as well as first-class accommodation, dining and entertainment – making it the premium choice for those wishing to have a bit of a flutter. There is also a second Casino based within the state, Country Club, which is a sister casino to Wrest Point and is based in Launceston, with the Club also home to an 18-hole golf course. In addition to the casinos, there are also plenty of other venues which offer gaming – in particular pokies – with a vast majority of pubs and clubs across the state home to a variety of slot machines. 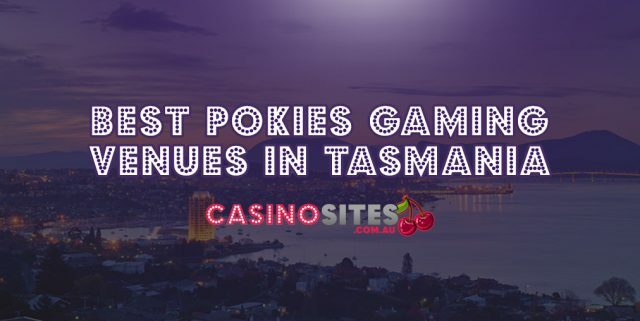 Currently there are 3,560 electronic gaming machines within Tasmania, excluding those on board the Spirit of Tasmania, which equates to one machine per 140 people. If you’re also looking for convenience and high payouts, online pokies casino sites offer a great alternative – particularly because you can play from the comfort of home on phone or computer, for real money or free fun. The Gaming Control Act 1993 lays down the legislative framework for both the licensing and registration of gambling in the state of Tasmania. Activities regulated under this act include electronic gaming machines, keno, casino gaming, sports and racing wagering, interactive gaming and wagering, foreign games permits and minor gaming. Figures indicate the state’s two casinos, in addition to the other gaming venues collect about $215 million per annum in revenue from pokies players, a slight reduction in the all time high of $220 million which was reached in 2009. The Wrest Point Casino has been in operation for more than four decades and is renowned for being Australia’s first casino after its doors opened back in 1973. The Casino is home to 650 electronic gaming machines, making it the best venue for pokies players looking to enjoy a flutter in Tasmania. Boasting some of the classics as well as the latest state of the art gaming machines, the colourful rows and winning sounds emitted from these pokies spell one thing – excitement. There are also a range of price variances for all punting levels, with the machines offering betting ranges from 1c through to $1. Additionally, the pokies at Wrest Point are linked through a progressive jackpot system, with several machines grouped together which adds extra incentive for players, with the opportunity to win thousands in cold, hard cash. If you feel like taking a break from the slots, there are also wide selection of table games available, featuring all of your favourites such as blackjack, federal pontoon, roulette, money wheel, poker and baccarat. The Country Club Casino first opened its doors in 1982 following the success of its sister casino, Wrest Point, offering gaming aficionados a boutique playing experience spread across two separate gaming floors. The Casino offers the latest in electronic gaming machines, with 535 on site making it a must-see for all those players seeking the thrill of winning big on the pokies. With a wide selection of games on offer ranging from your basic pokies games through to the more modern, interactive machines, there is sure to be a slot to suit everybody’s interests. Much like the machines at Wrest Point, the pokies at the Country Club Casino are also linked together to provide progressive jackpots running into tens of thousands of dollars. Also on offer at the Country Club are a variety of table games such as Federal Baccarat, American Roulette, Rapid Roulette, Texas Hold ‘Em, Federal Pontoon, Blackjack and Money Wheel. The Country Club casino is open 2pm to 1am Sunday through to Thursday and 1pm through to 3am on Friday and Saturday. It’s not all about the casinos in Tasmania, with some people enjoying to play their pokies in a more relaxed environment such as their local pub or club. If this sounds more your style, check out our comprehensive list on all the places you can visit in Tasmania to get your gaming fix. If you don’t feel like hitting the town to get your gaming fix, why not try entering the exciting world of online casinos? Our website specialises in recommending the best online casinos which are protected by the highest security standards including encryption software to ensure your bank details and personal information is safe at all times. Plus, with the ability to access thousands of games on your computer, mobile phone or tablet, players can win big anytime, anywhere, as long as they have an internet connection. We think Slots Million and Guts is the best of the best for both Australian and New Zealand customers, with a wide range of pokies and table games available from some of the leading providers such as Betsoft, Microgaming and Net Entertainment. Games can be played for free or real money directly over your Web browser with no downloads required. Try any of the other top-rated online casinos we list in our tables across the site for huge AUD bonuses, regular rewards and thousands of online pokies games only available to play on the Web.